I’m a freak. I’m also currently traveling Southeast and South Asia for all of 2015 in search of adventure and promising examples of businesses solving social problems. I get excited about social enterprise, eating fruits, travel hacking, and stand-up comedy. 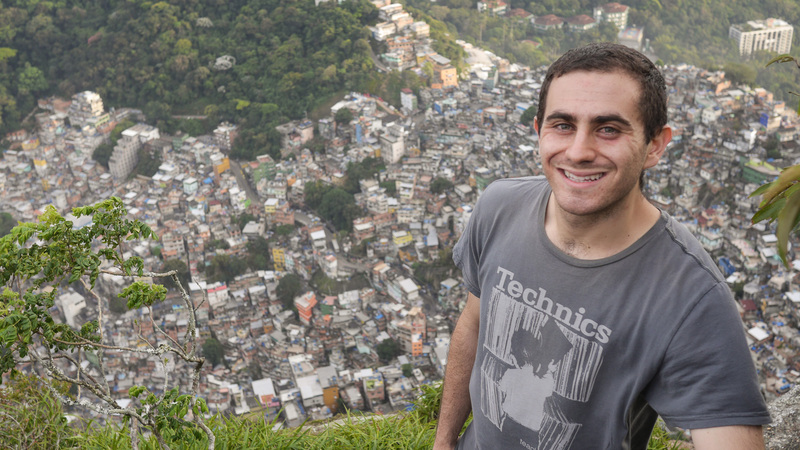 In 2012 I founded a tourism venture called Favela Experience in Rio de Janeiro’s favelas, some of the world’s most vibrant and fascinating communities. There I experienced loneliness, being broke, and lots of criticism, but also had a lot of fun while achieving mild success. Recently, after two years managing my first business, I made the tough decision to turn over Favela Experience to new management and left Brazil. Previously, I graduated from the University of Virginia in 2013 with a B.S. in Commerce and second major in Latin American Studies. There I led SEED, a student-run, social sector consultancy as well as an initiative to advance social entrepreneurship education at my university. Between 2008 and 2012, I spent a year and a half total between Chile, Argentina, and Brazil, where I volunteered, worked, and studied. A lot of times it’s very hard to get that “perfect balance” between user friendliness and visual appeal. I must say you’ve done a amazing job with this.